What’s the Best Kid-Friendly Fundraiser? Want to know people who inspire us? Because of kid-friendly shoe drive fundraisers, we have the chance to hear about fantastic, fun and also inspirational stories of the kids who decide to do them. We’ve had different reasons why shoe drive fundraisers have been what many groups of kids decide to do when looking to raise money. We’ve had kids who have raised money with a shoe drive fundraiser for charitable causes in their community. We’ve had children raise money to help other children in need of medical care or support. We’ve had kids who have gotten together to honor the memory of a friend taken young from their midst. We’ve had students who have raised money for their arts or sports programs or school. 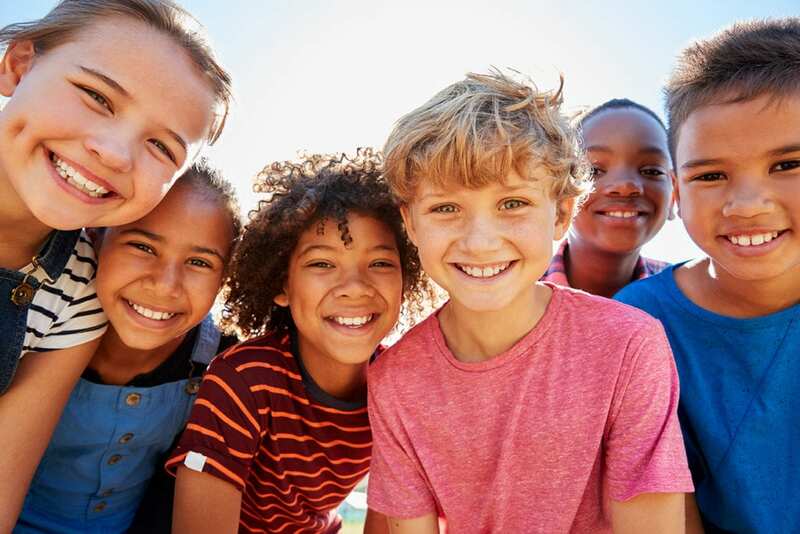 There are many reasons why youth can come together for a kid-friendly shoe drive fundraiser, but you can’t escape the fact that there are a lot of benefits for youth. There’s no need for kids to ask people for money, which makes it the best kid-friendly fundraiser around! Many kids who choose to do a shoe drive fundraiser get together as a team or, if a larger group, in multiple teams to collect gently worn, used and new shoes. This helps kids work together as a group toward a goal, which is always an excellent skill for children to learn. Some kids have enjoyed the friendly competitionsthey’ve created between kid fundraising groups. Other kids have loved the fact that when they go out into the community to collect shoes, they are participating in a socially responsible fundraiser. The footwear they collect is repurposed, and it doesn’t end up in the trash. Instead, the shoes are given a new lease on life. Many kids like the idea that the shoes end up going to people in developing nationswhere the shoes are sold in the community by micro-entrepreneurs. Countless families, including children, live in poverty where even shoes are a commodity. When kids do a shoe drive fundraiser in our country, they are helping families in impoverished nations in two ways. First, micro-entrepreneurs in need of sustainable work opportunities for their families can sell a product in their community for which there is demand and everyone needs, shoes. Second, the public can purchase inexpensive, but high-quality, footwear for a fraction of what they would cost in a developed nation like the United States. Today’s kids are aware and active in their community, which is a great thing. We’re grateful to have so many stories brought to us by kids who have wanted to be our partners because their compassion and kindness inspires us each day in our work. © 2018 Shoes With Heart. All Rights Reserved.